Is trying to come up with hundreds or even thousands of dollars keeping you from opening an investment account? It shouldn’t. In the past it was almost a requirement to have quite a bit of money available in order to make your initial investment in a mutual fund or open a brokerage account. Today, things are quite different. You can now start investing with very little money up front. Here's how. If investing in individual companies is your goal, you might want to consider Direct Purchase Plans, or DPPs for short. Like their name suggests, you purchase these stocks directly from the company. There’s no brokerage account, no middleman, and you work directly with the company that issues the stock. One drawback is that not every company offers a DPP so you may be somewhat limited in your selection. Companies are not allowed to advertise their own direct purchase plans, so it’s up to you to find them. You'll probably have to spend a little time visiting the company’s website and looking through their investor relations section to determine whether or not they offer a direct purchase plan and how to get started. The real benefit of a DPP is that you aren’t paying a hefty commission to a broker and you’re given the ability to purchase fractions of shares. For example, say a company you want to invest in is trading at $100 per share but you only have $50 to invest at the moment. Well, through a DPP you can usually buy just half of a share and then you could continue to use small amounts of money to purchase more shares over time. You can’t do this with a traditional broker. 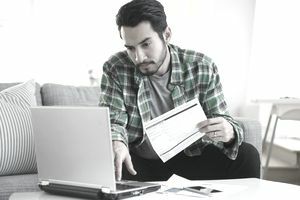 A second way to start investing with a small amount of money is to sign up with an online discount broker like ShareBuilder, which operates in partnership with Capital One. For just a few dollars, you can create an automatic investment plan that will help you start building your portfolio. Keep in mind that they may impose some account restrictions and fees, but generally speaking, it’s a great way to start investing today without much money. Another option is to use one of the investing apps that are currently so popular on the market. These apps work differently -- some let you round up the change from purchases and invest the difference, while others allow you to invest in fractional shares -- but they share a common goal: to help investors build a diversified portfolio with the money they have at hand. These apps also have different minimums for getting started. For some, the minimum is $0 but others may expect you to start investing with $100 or more, so choose the app that fits your budget and ability to invest. Thinking of investing in something like a mutual fund so that you can achieve instant diversification but don’t have the high initial deposit to make it happen? You may want to consider buying shares of an exchange-traded fund. Unlike a mutual fund that may impose a minimum initial investment, ETFs trade like stocks. They have a specific share price and can be purchased through virtually any broker. So, with an ETF you can buy just a couple of shares as long as you have enough money to buy the shares. But ETFs don’t come without drawbacks. For one, you have to purchase whole shares unless you’re doing so through an account such as ShareBuilder. Second, you’re going to typically pay a trading commission each time you make a trade. Since commissions can generally run anywhere from $4.50 to $11 this can quickly eat into your investment. But if you purchase ETFs less frequently and with slightly larger amounts of money you can keep your transaction costs down. Luckily, there are some other no-load fund families out there who cater to new investors and don’t impose such high limits. For example, you can check out Charles Schwab which offers a low $100 minimum on their own no-load funds, and T. Rowe Price which doesn’t have a minimum on their own funds if you open an account with them. These are two great low-cost fund families that make it easy for a new investor to get started with even a small amount of money.